Sandals and Beaches Resorts takes home seven awards at this year's annual World Travel Awards ceremony. Sandals Resorts International (SRI) receives 11 awards from this year's World Travel Awards including 'Caribbean's Leading Hotel Brand' for the 24th year. There’s a common misconception that all-inclusive and luxury can’t go hand in hand, but at Sandals we’re here to prove that wrong. Find out what's so great about enjoying an all-inclusive holiday at Sandals. Sandals Resorts hosted various celebrities at Ed Sheeran's LA concert at the Hyde Lounge in Staples Center for a #LuxSheery evening. 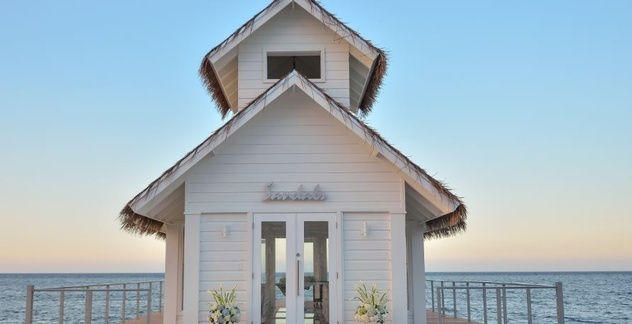 Sandals and Beaches Resorts has been named as the Best Wedding Travel Company at this year’s UK Wedding Awards 2019, in conjunction with leading bridal brands You & Your Wedding and Hitched. Sandals Montego Bay – the very first Luxury Included® resort in the Sandals Resorts family – has now concluded a transformation of its entire flagship resort, and the completely redesigned Sandals Montego Bay takes Luxury Included® to the next level from the moment you arrive on resort. Sandals Resorts International (SRI) is pleased to announce that six Sandals and Beaches Resorts have been recognised in the 2019 TripAdvisor Travelers’ Choice Awards, which awards the very best in the travel industry chosen by millions of travellers around the world. Thank You! You will receive a confirmation email shortly. Please make sure you click on the "VERIFY" button to guarantee delivery.